Guard’s premier training site in North-Central Florida. camping, fishing, swimming and hiking opportunities. 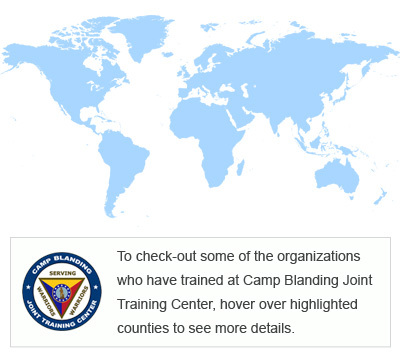 individuals or groups training at Camp Blanding. has been an important training site since World War II.